drain system with beneficial bioenzymatics. The bioenzymatics degrade the organics that cause odors and backups, making a cleaner, fresher restroom experience. 1) Place the screen containing the block at the bottom of the urinal. 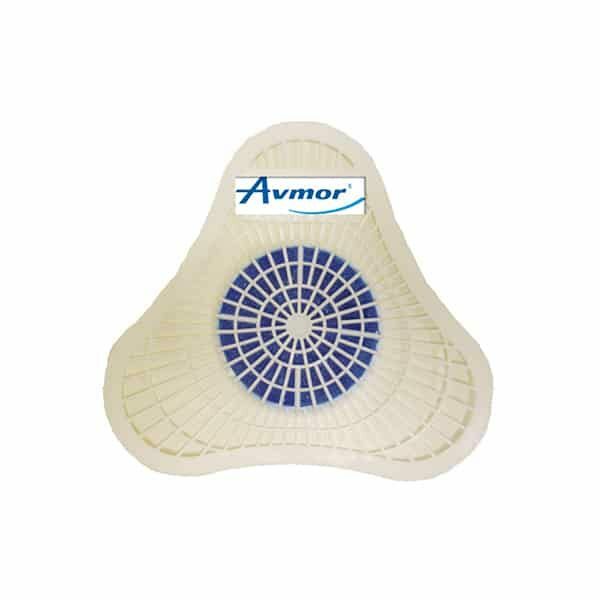 2) The block will dissolve gradually within a 30 to 60 day period for an average use of the urinal. RECYCLING: This product package including the container, label, and shipping carton are all designed to be recycled.